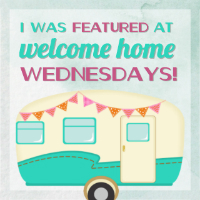 Welcome to Welcome Home Wednesdays number 61! There are some seriously talented people that link up here each week. I’m always amazed and inspired by your projects…keep ’em coming!